We thought we would brighten up your winter morning with a little raffle! 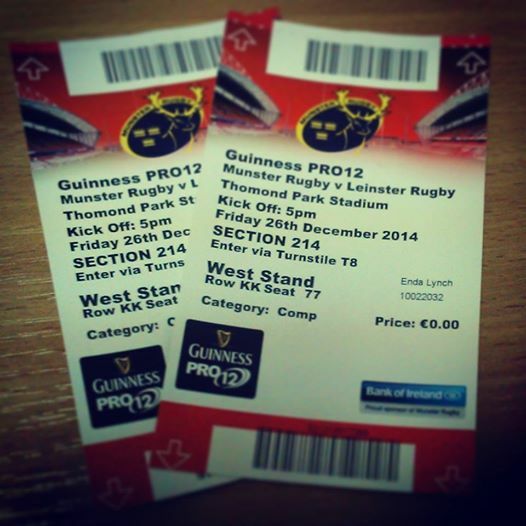 We have had 2 tickets to Munster vs Leinster in Thomond Park on the 26th December donated to us and we want to raffle them. These tickets would make a great Christmas present for somebody or indeed yourself. 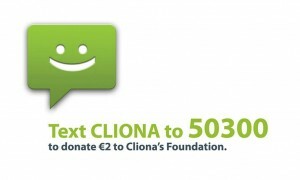 To enter it is €2 per entry to be paid via text by texting CLIONA to 50300 or enter via our website www.clionasfoundation.ie and to be entered into the draw please post the text receipt to either our Facebook page or tweet us on Twitter. Winner will be drawn on Friday the 19th of December. Good luck to everybody!